With Father’s Day only a month away, take to your camera roll and create a stunning Father’s Day Photo Book documenting your family’s adventures! Snapfish designer Alena Musso shares tips on choosing just the right embellishments for a personalised photo book Dad will love ❤. TIP #1: Layer embellishments to create a one-of-a-kind design. 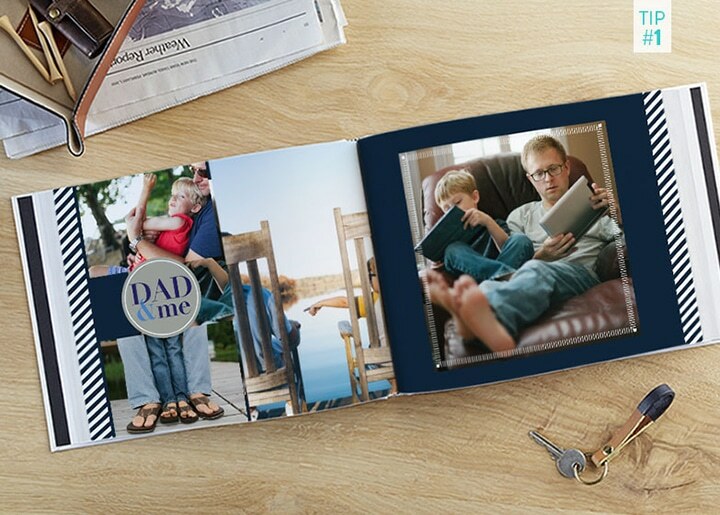 Layering a text embellishment over a shape gives your Father’s Day photo book a personalised pizzazz! Here, we have paired the “Dad & Me” embellishment with a grey medallion. The blue-on-grey colour combo makes the text really stand out. TIP #2: Make a statement with just a couple embellishments per page. When it comes to embellishments, you’re allowed to be selective. 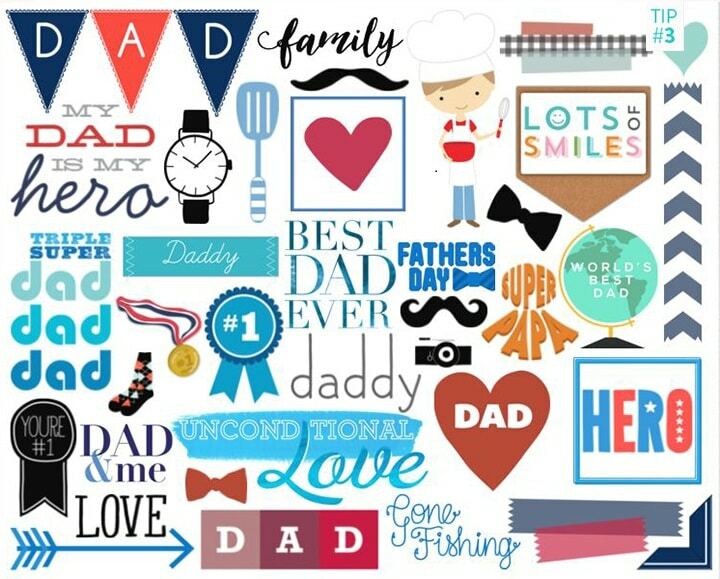 Since we really want to showcase those special moments with Dad, select one or two embellishments that will compliment your photos without overwhelming your layout. 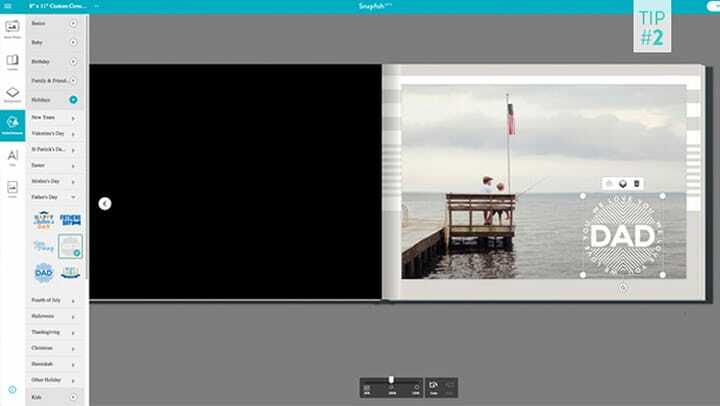 Using too many designs can make your Father’s Day photo book look too busy or (gasp!) outdated. TIP #3: Skim the collection before making your selection. There are SO many embellishments to choose from—where to start? We have chosen some of our favourites, and put them into a ‘Snapfish Favourites’ folder to make it easier for you! Shop all Father’s Day photo gifts! Share your creations with us on Facebook, or Twitter we would love to see what you’ve made! Tagged as Father's Day gifts, photo books. Perfect blog for Father’s Day occasion. Father’s play very important role in everyone’s life. To present something special you can choose Father’s Day photo book as one the gift item. Father;s day is one of the day when we will make our fathers happy. By using these tips, we will make our father’s day happy.